Italian Speed/Power metal band SAVIOR FROM ANGER was formed in 2007 by Marco Ruggiero who started with Progressive Power metal band LANDGUARD. After he left the band, he founded NAMELESS CRIME in 2000, the style is classic Heavy Metal with Thrash Metal influences. The band released two albums and one EP, and played with many international metal artists such as Paul Di' Anno, Blaze Bailey, Marduk, Ancient, Helstar, Iron Savior, Doro, Atrocity, Dark Moor, Lanfear, Leaves Eyes, Axxis, Morgana Lefay and more. SAVIOR FROM ANGER as a band, during 2007 and 2008, played with many Italian and international metal artists such as Dark Tranquillity, Dismember, Anathema, Destruction, Vader, Vision Divine, Death SS, Domine, Metal Gang, Eldritch, Fabio Lione and Rhapsody on Fire, Pino Scotto & Firetrails, DGM, Infernal Poetry, Novembre and many more. 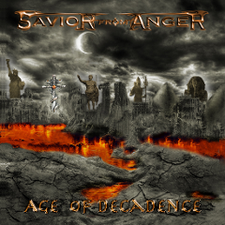 In 2009, SAVIOR FROM ANGER has toured with VICIOUS RUMORS, SACRED STEEL and SKYCLAD in Germany and played at POUNDING WIMP REAPER METAL FEST in Adelsheim. They released so far two EPs and the debut album "The Shadow Tower", featured IN AEVUM AGERE. 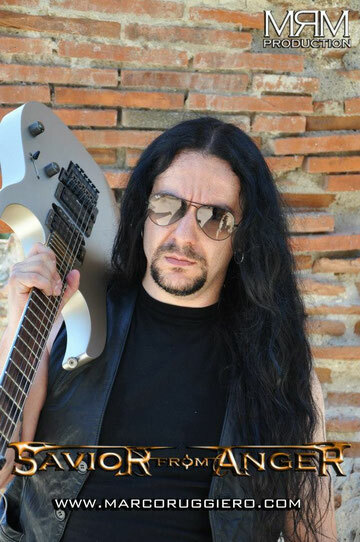 Also Marco played as a session guitarist with Power Doom metal band IN AEVUM AGERE of Bruno Masulli (Power Beyond, Annihilation Mancer, Loadstar, ex Marshall singer). The band signed a new deal with My Graveyard Productions for releasing new album, and their second album "Age Of Decadence" was released on January 31st 2013. On the album, Marco Ruggiero plays guitas, bass and vocals and Michele Coppola plays drums.